How do you say “ow” in Spanish? Remember that possible ear infection? Yeah, it has moved into the realm of reality. As I continued to have my ears not properly pop and my hearing be foggy, I did some internet research and came to the conclusion it was time to see a doctor. How to get diagnosed and treated? My guess was it’s a pretty simple routine ear infection, so I sought out the combo clinic/pharmacy across the street from my hostel. 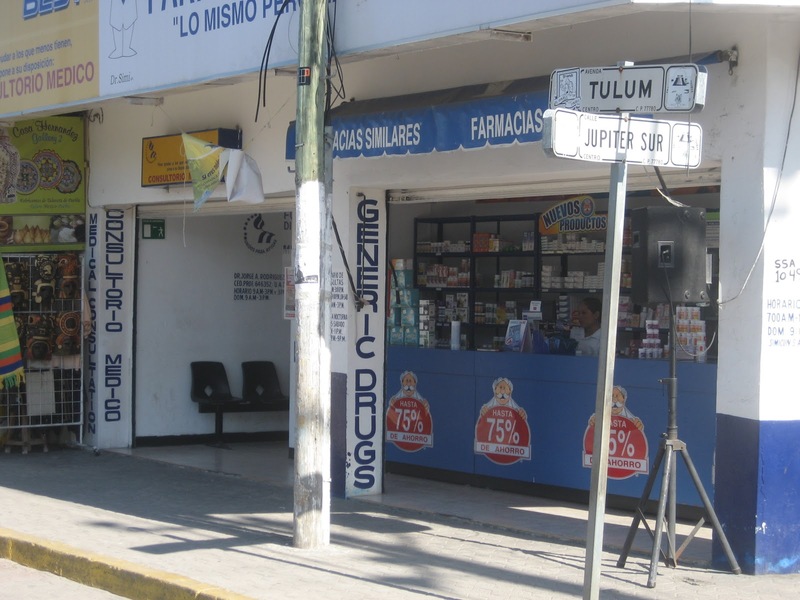 For $35 pesos (approx $3USD) an adjunct doctor will give you a walk-in consult. The gruff and grumpy doctor peered into my ears as I described my symptoms in broken Spanish. He confirmed that I had “una media infección”. Awesome. Well, at least now I have prescription drugs. (And they said I can still go swimming!) Not bad impromptu health care for a grand total of less that $20USD. This entry was posted in Central America, Mexico, Self-reflection by ladyasatramp. Bookmark the permalink. At least it's not a cenote-blocker!